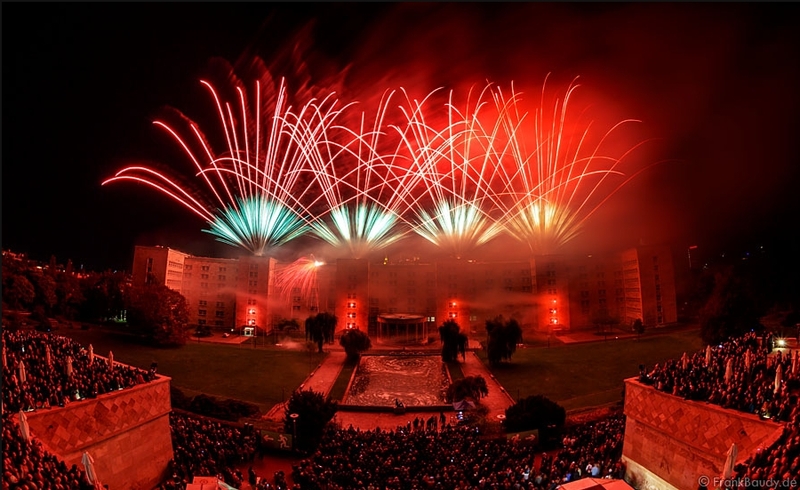 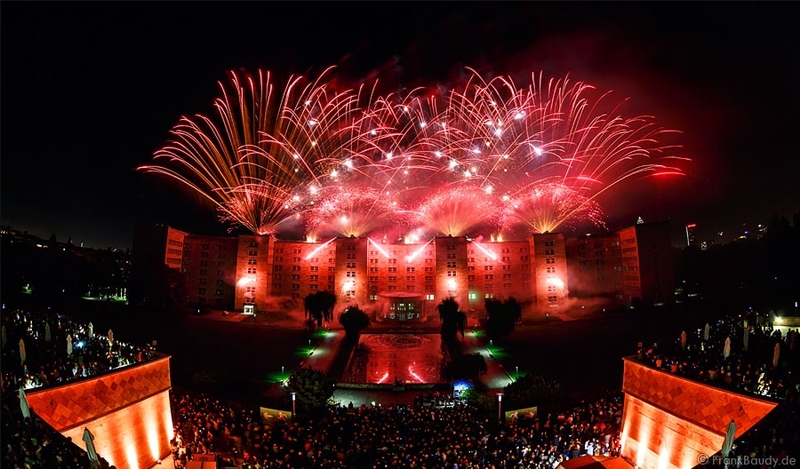 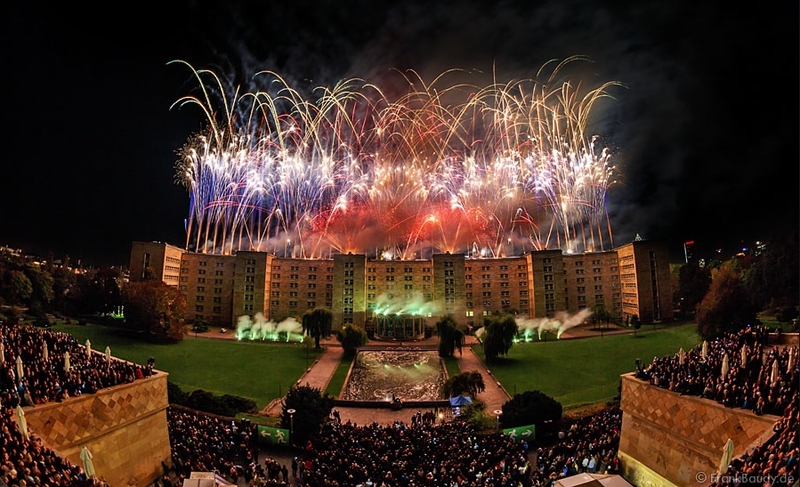 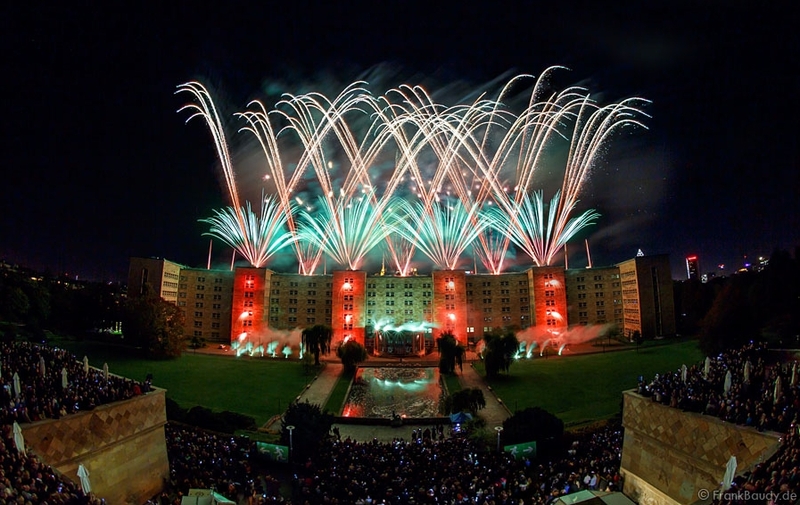 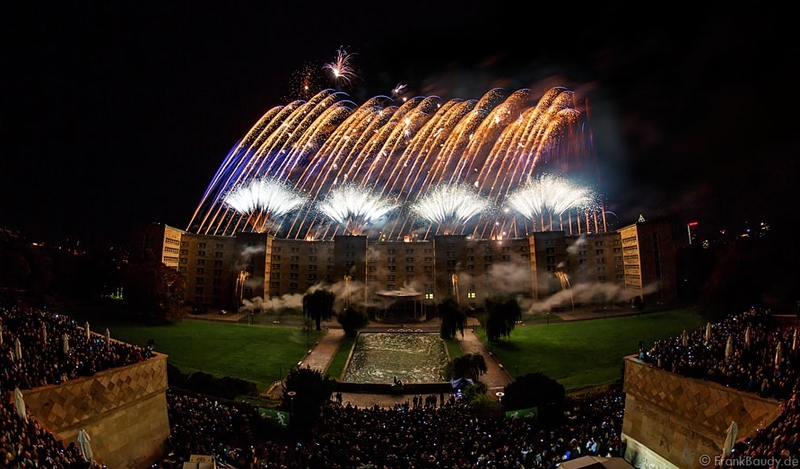 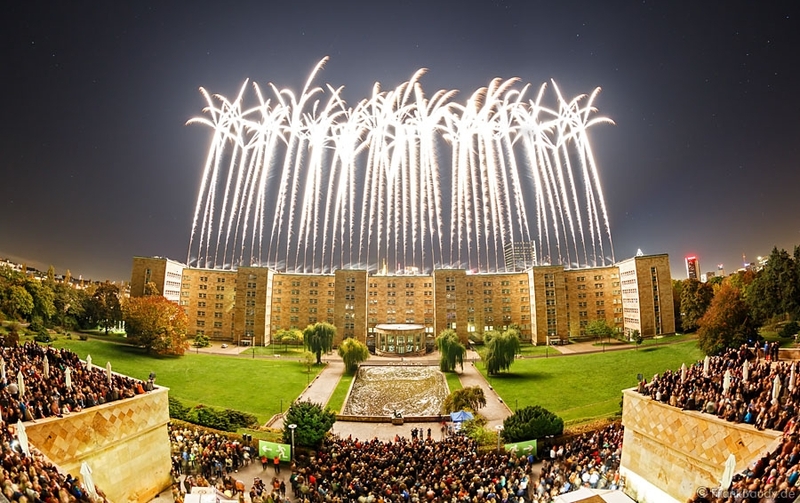 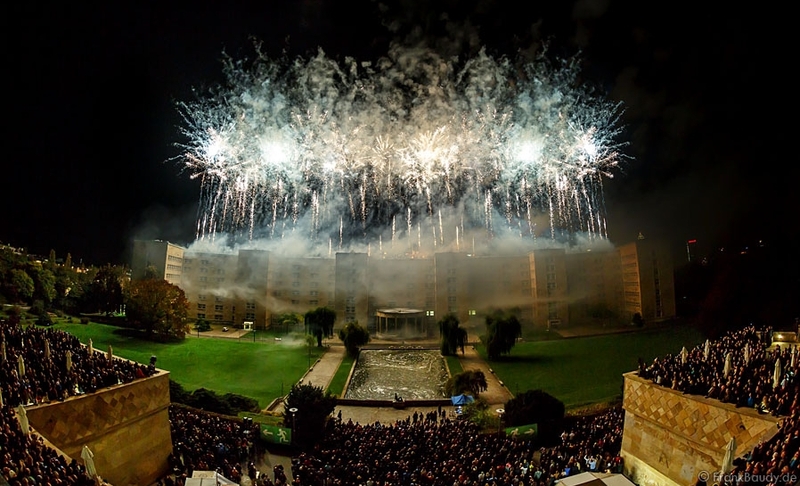 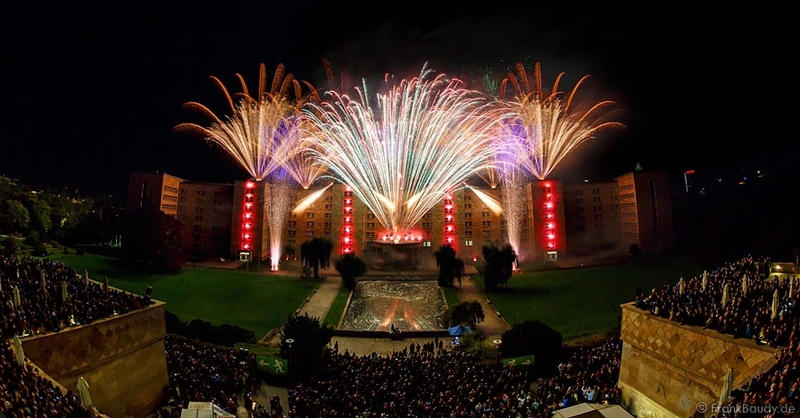 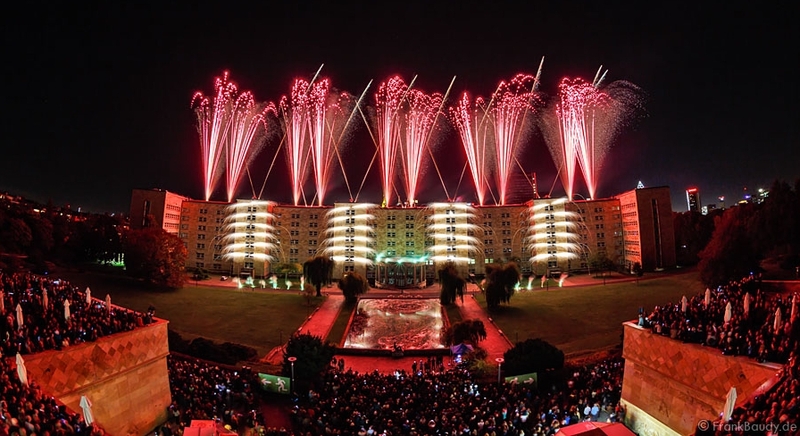 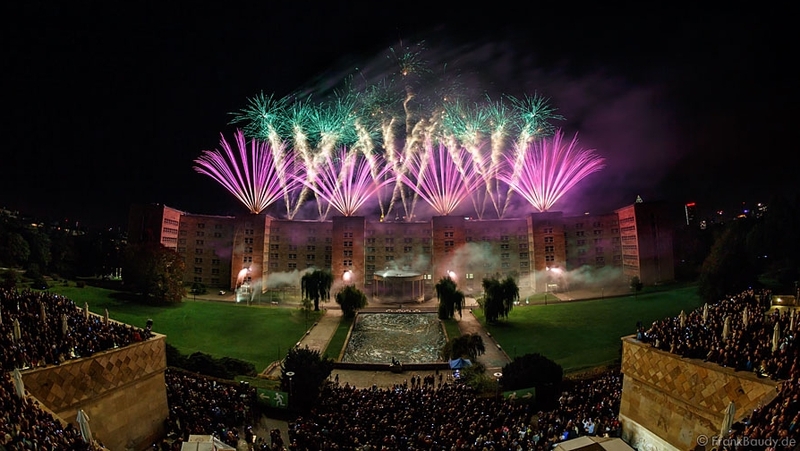 On Saturday evening, 18 October 2014, the 100th anniversary of the Goethe University in Frankfurt reached its peak with a brilliant firework display. 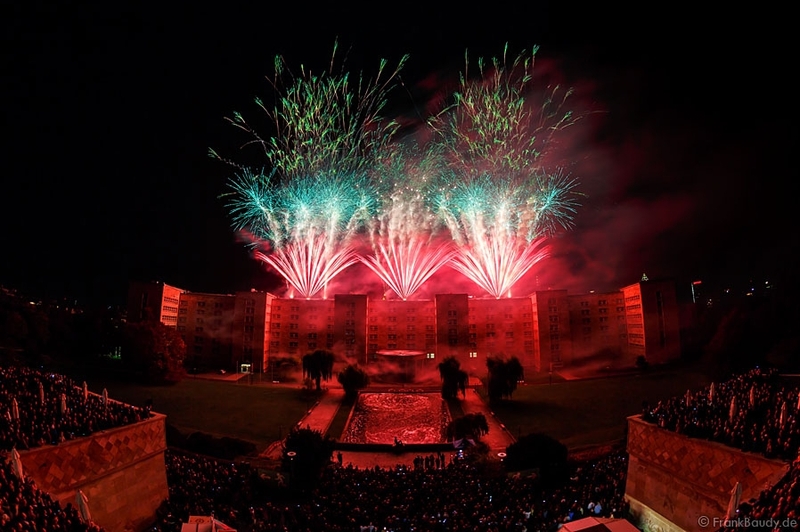 For this purpose, the 250 meter long and 35 meter high Poelzig ensembles, better known as the IG color house on the Westend campus, were equipped with pyrotechnics for 7 days. 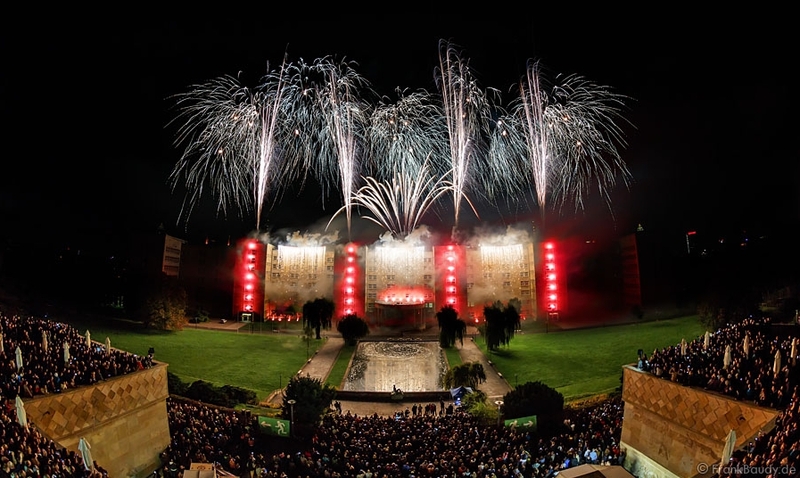 There were 67 comets positions on the roofs, and a huge 150m silver waterfall and a 4 × 7fold façade matrix of strobes, jets and photoflashes were installed on the front of the building. 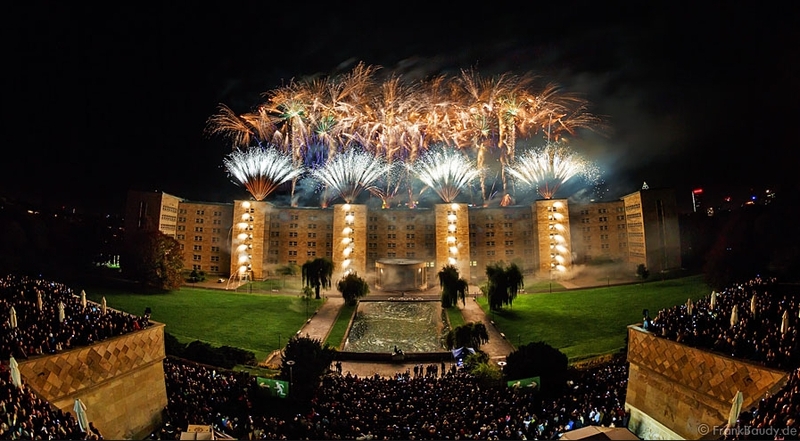 For the music of the fireworks, the Aura of the IG-Farbenhaus was captured acoustically by fieldrecordings and combined with dynamic trailer music. 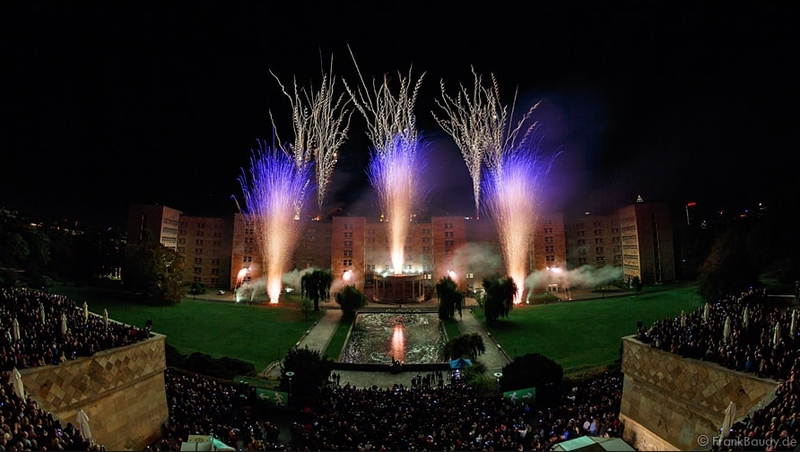 A total of 14,877 effects on 1725 cues were ignited during the 12-minute spectacle. 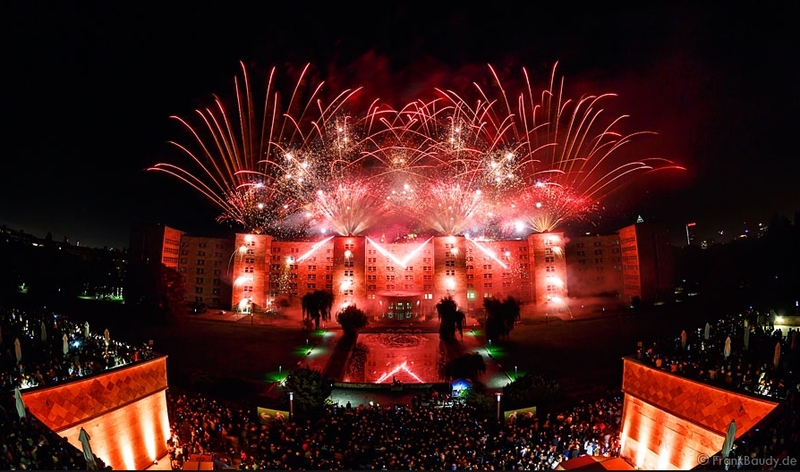 The complete planning, preparation and installation was realized in a record time of only 16 days!